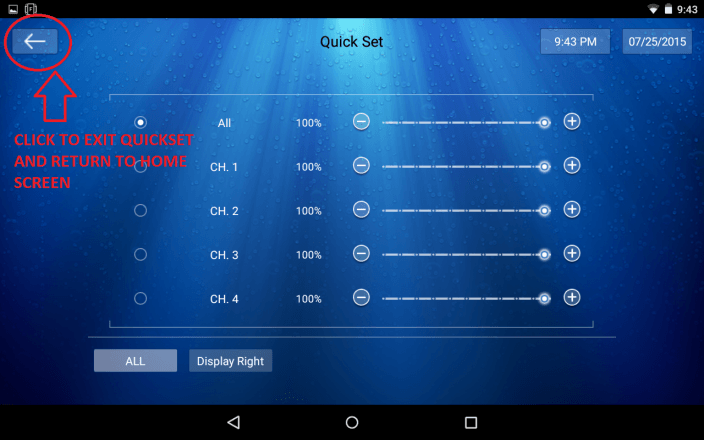 Quick set is accessed from the home screen and will give you the ability to control the lights quickly without an installed program. Please note that once in quick set mode, and changes made to the lights will remain until they are manually shut off or a program is sent to the lights to restore them. This is an excellent way to use the lights with an external timer. Set the lights to your preferred settings and then allow the external timer to turn them on and off. This method is often used in commercial installations such as public aquariums or zoos. 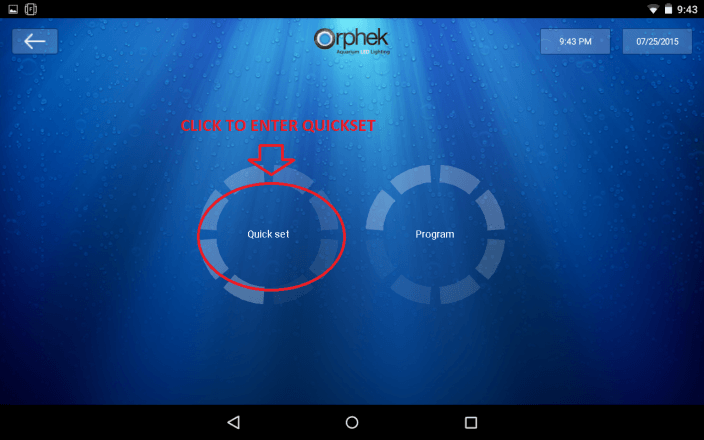 *NOTE- after using quick set you must resend your program or the lights will remain like you set them in quick set. 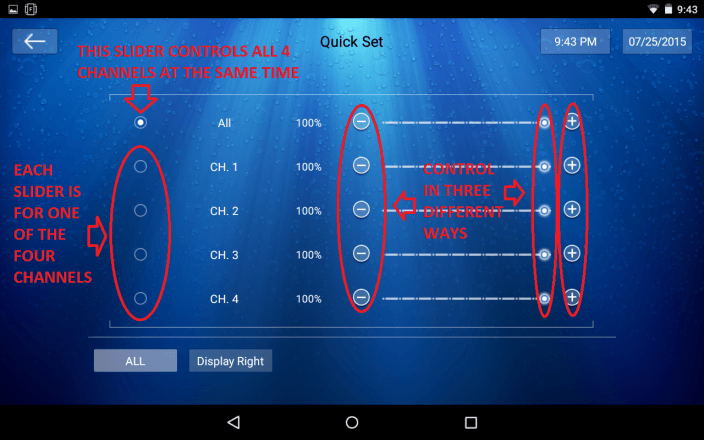 You can control each of the channels individually or all channels at the same time by selecting which to do on the left side of the quick set screen. Additionally the channels can be controlled in three ways, with the + button, the – button or the slider button that indicates the current percentage. At the bottom of the screen you will see your available lights that can be controlled. You can select one unit individually or all units to be controlled together. If you do not have a network set up, then you will only be able to talk to one light at a time. 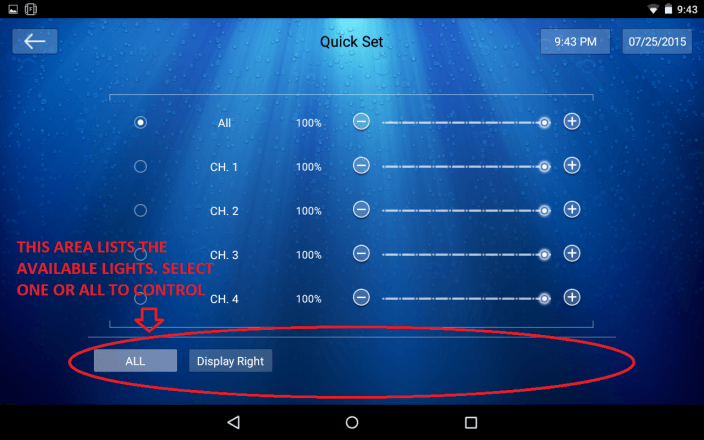 When you are done controlling the lights using quick set mode you can return to the home screen by clicking the back button in the upper left of your device.